Yesterday, the Queen released three family portraits to mark her 90th birthday. Not to be outdone, we also marked my mother-in-law's 70th birthday with a family photo session. After all, in today's busy life, with family spread around the country, it's not often we all get together, so it seemed a brilliant idea for a birthday present as well as providing us all with a reminder of the event. We commissioned Eastbourne-based Sarah Carmody to take some informal family shots in the cottage we had rented for the weekend. This shot features the whole family with my mother-in-law lying across the middle. My grandmother-in-law was also able to join us for the photo shoot and we got a lovely photo of her with all six of her great grandchildren. We also got this lovely shot of great grandma with Elliot. Of course, we had to get a picture of the four generations of girls: my grandmother-in-law, my mother-in-law, my sister-in-law and my daughter. And here is a close-up of Bea. 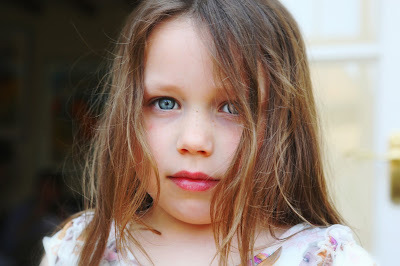 She is just so photogenic it's untrue (obviously I am completely biased)! OK – so maybe she's not always photogenic. 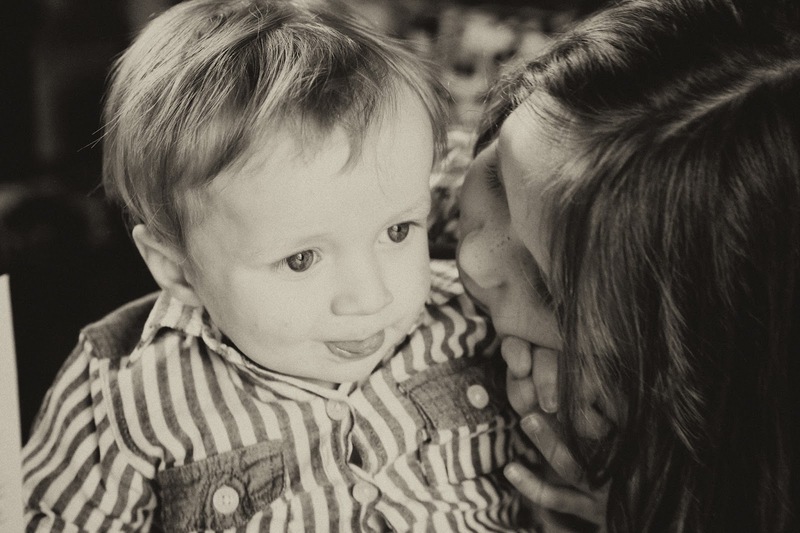 She adores her baby brother and this image just captures the love between them so well! The props were really popular. Wilf tried to look as serious as he could, but I'm not sure he pulled the moody look off particularly well in these glasses. There was plenty of action during the shoot too with the boys playing football (again). Like father, like son! We had a wonderful weekend together, which I'll blog about soon, and the pictures provide a lasting memory of such a special family time. The hardest decision is to decide which photos get pride of place on the mantlepiece.